Acting is a tough business. Actors are subject to the scrutiny of the public on stage or screen and to fierce competition in a world where few earn a decent living. Why, then, would you enroll your child in acting classes? First, beyond the limelight and the “next big thing” there is a whole world of creativity, performance, and imagination to explore. Second, acting is more than just fun and games. Without realizing it, kids develop real-world skills through theatre games and performance. Kids who study drama excel not only in artistic development, but in physical development, mental development, personal development, and social development. And they’re having fun while they do it. It’s a win-win. Not all actors are extroverts. In fact some of the most painfully shy people I know are actors. As an acting coach, I often have parents bring their shy children to me not because they want them to be the next Hannah Montana, but because they want them to find their voice, the lion inside them. Through acting lessons, I’ve watched painfully shy kids learn to express, to blossom, to roar. The ability to speak confidently in front of a group is a key element of many careers (think lawyers, politicians, broadcasters, salespeople, teachers and professors). The physicality and stage presence learned through drama comes across not only on stage or screen, but in interviews, meetings, and one-on-one interactions through life. A child who is comfortable performing is more likely to feel confident in making his or her voice heard, whether at work, in the classroom, or in his or her community. No one wins or loses as part of an acting ensemble. The group succeeds by working together to overcome obstacles and achieve goals. Through scene work, kids must learn to be team players, collaborate, listen and react, imaginatively, spontaneously and honestly. They learn to trust in each other and in themselves. In life, who you know can be as important as what you know. Sociability is important not only in work, however; it’s a key element of happiness in life in general. Studies show that drama lessons enhance adaptive social behavior (more so than other arts disciplines, in fact) and also seem to give kids a leg up in language skills and in taking linguistic cues from others. It may even make kids more empathetic. How to win friends and influence people? Study acting. Without question, acting training results in better language skills, reading comprehension, memorization, and vocabulary. But did you know that there’s evidence that kids who are involved in the arts show better academic performance and better standardized test scores overall? For gifted children who already excel academically, acting is an outlet where they can go further than the average student. In school, a gifted student may be bored, finishing work before the rest of the class. In acting, the work has no limitations other than the child’s own imagination. These are values in their own right, but the ability to think creatively (i.e. innovation) is an important element for many jobs. Think of Apple employees who dream up innovative products. But even if your child isn’t destined to be the next Steve Jobs, through improvisation and other theatre games, they learn to think quickly on their feet and react spontaneously—skills all of us can use in life. When you look at that list of abilities, they clearly translate into strong skills that will benefit your children today and in their future careers, whether that’s on stage on a screen or in a boardroom. Michael Caruana is a professional theatre and screen actor and acting coach and the founder of Bongo Productions, a Toronto acting studio for kids and adults. Bongo Productions offers summer camps for kids and teens: work on scenes, commercials, and auditions; use real industry scripts; and take home a DVD of all their work. 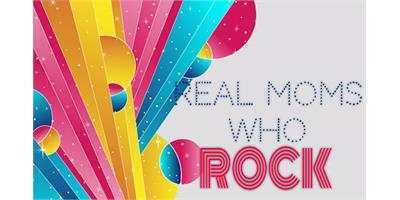 Real Moms Who Rock are local moms who inspire us. Interview with Lulu Cohen-Farnell of Real Food for Real Kids. The part where you mentioned that acting can help children in boosting their language skills, reading comprehension, memorization, and vocabulary is pretty invigorating. That is timely too as my children have reached the certain age where they are asking me if they can be enrolled in an acting studio. I would be sure to find them a good place so that they can reap the benefits you’ve just mentioned earlier to help them become better people in the future. Thanks!